Sunday was round 3 of the IKR Championship at the Three Sisters race track and Samuel was racing in his new kart! The CKS team sticker kit has not yet been put on it so he was racing with black side pods and bumper and yellow stickers. The circuit had been changed to the Valley from Club and its been a while since Samuel raced on it so he took it easy on the practice lap. But still managed to clock the second fastest time with a 55.020 second lap. He qualified in 5th place overall from 15 drivers with a 53.956 lap time. The video below is from the qualifying session. Round 1 he finished in 7th place after an uncharacteristic spin from Samuel and went marginally quicker with a best lap of 53.708. Round 2 he finished in 4th place and went quicker - 53.456. The combination of the two heats placed him 5th on the grid for the final. And he finished 5th overall with a fastest lap of 53.847 and 2nd in the Honda engine class. 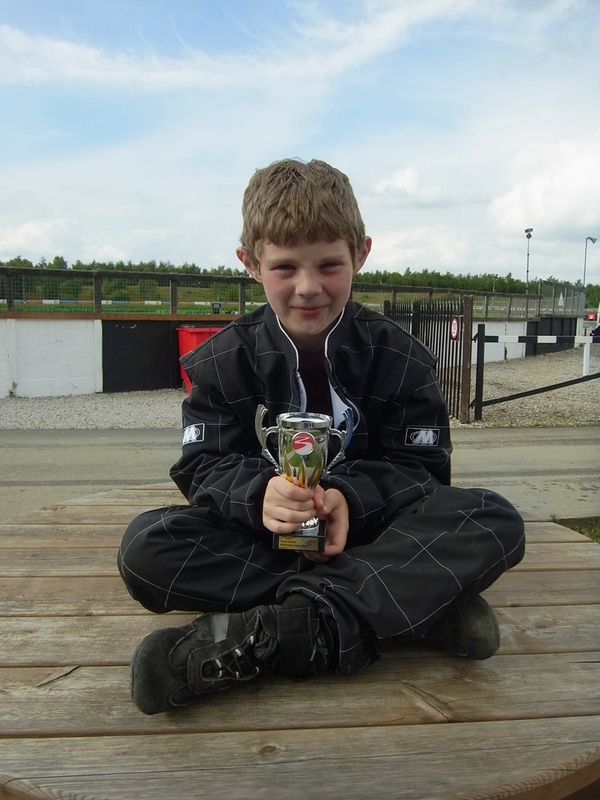 And here are a few photos of the podium and one of him with his trophy! All the timing results can be found HERE. His first MSA race is next weekend....!! Black and white numbers are waiting to be added to his kart!